Bangladeshi fire fighters and residents try to control a fire at the Begunbari slum in Dhaka, Bangladesh, Sept. 20, 2012. 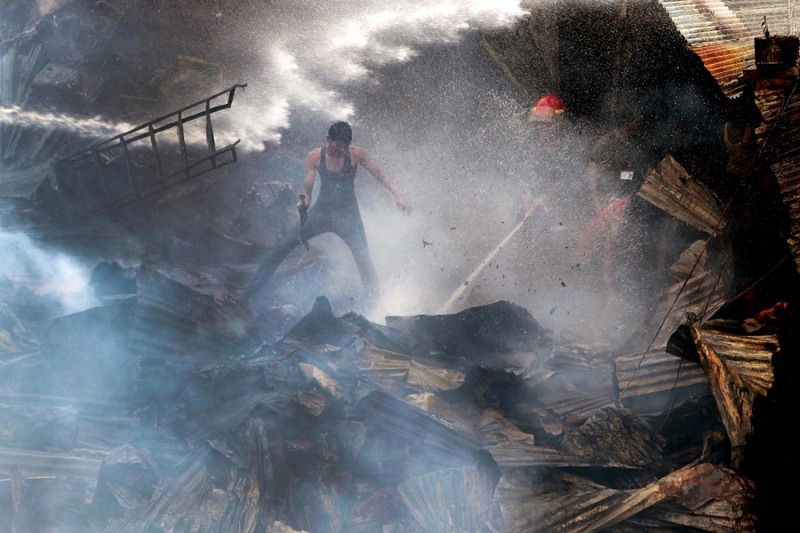 AP reports — A fire destroyed at least 500 homes in a poor district of Bangladesh's capital Dhaka on Thursday. Officials say it took more than two hours to bring the blaze under control and it is unclear what caused the fire. 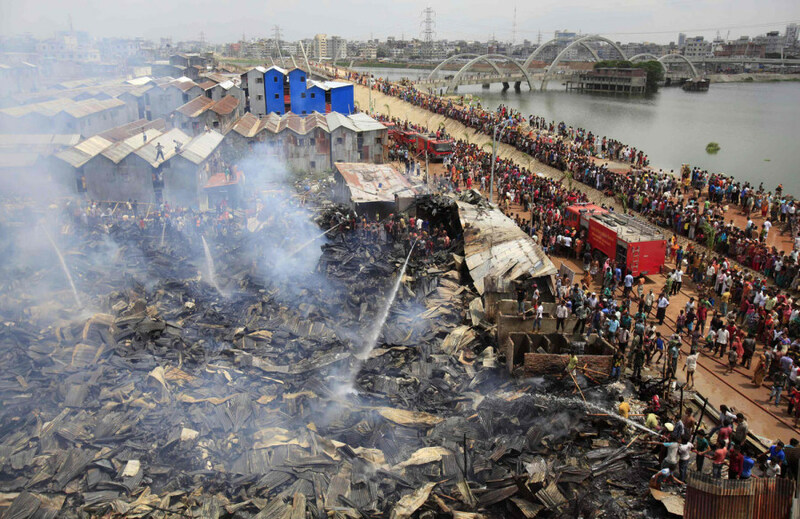 Firefighters and local residents try to control a fire at a slum next to a Padma garments factory in Begunbari, Dhaka, Sept. 20. 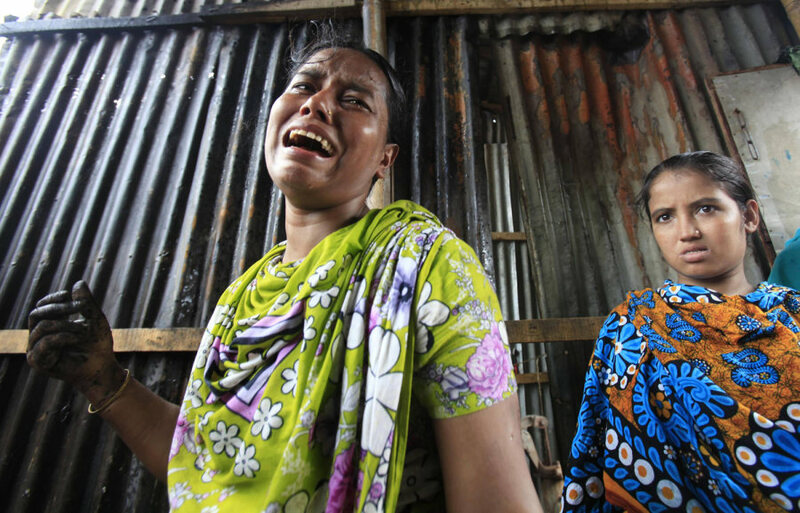 Women lament their burned-down home after a fire broke out at a slum in Dhaka, Bangladesh, Sept. 20.